The Complete Brambly Hedge is a lovely collection of children's stories written and illustrated by Jill Barklem. These tales unfold in elaborately illustrated homes belonging to a delightful society of mice. Join Dusty, Wilfred, Poppy, Primrose and their friends as they share adventures along the hedge, in the hills and under the dunes near the seaside. Although written in recent years, these stories are quaint and have a long ago feel. There is an extravagant birthday picnic for Wilfred, a sweet wedding for Dusty and Poppy, and a heartwarming midwinter party for all the inhabitants of Brambly Hedge. Adventures are also in store for readers and listeners when two mice travel to the high hills. It is literally a cliff hanger that ends in a high speed ride down rapids. The little mice take a voyage to the seaside in another story where they meet the sea mice. Even in their own hedge adventure awaits as they discover old mansions and find hidden staircases that lead to forgotten rooms. This charming story personifies a small society of mice bringing true to life scenarios to the minds of children. It is about friendship, teamwork, and family. The mice all pitch in early in the first story in surprising Wilfred with a lovely birthday picnic. Poor Wilfred thinks every one has forgot, but what a surprise he gets when he realizes the basket he is packing into the picnic is full of birthday presents for him. Mr. Apple generously allows Wilfred to accompany him on an errand to the High Hills. Wilfred puts both their lives in danger when he wanders off. When Wilfred realizes the seriousness of his actions, Mr. Apple is quick to forgive his little friend. Dusty and Poppy's troubles are solved when their friends help Dusty surprise Poppy with a quieter and cleaner home. A fitting end to this set of books is this story entitled "Poppy's Babies". After reading of Dusty and Poppy's wedding the story comes full circle when the newest members of the little mouse society arrive. We loved the characters and the wholesomeness of the stories, but what we liked most of all were the illustrations. They told a story in themselves. 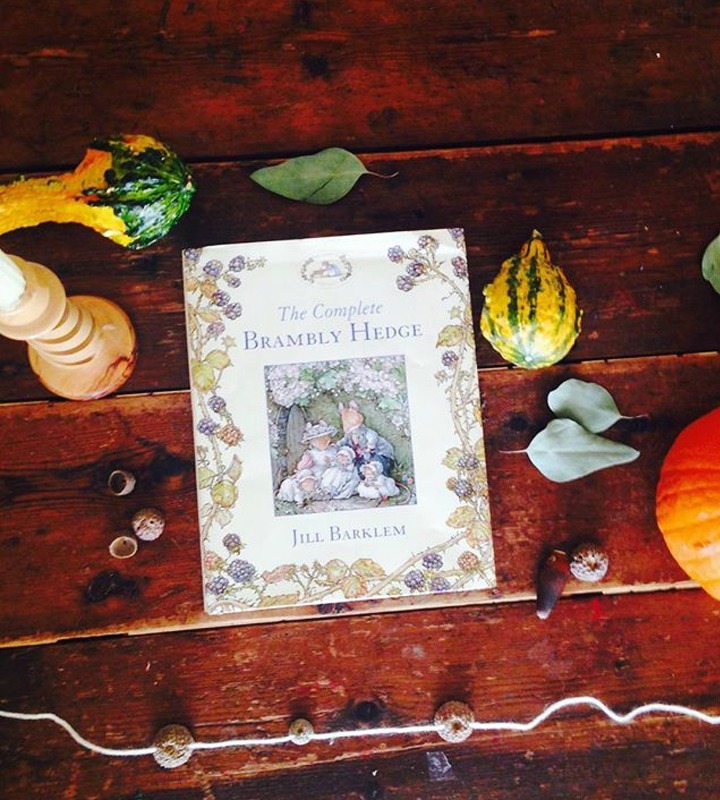 Make The Complete Brambly Hedge the next book you purchase for your children's book collection. It is a lovely read aloud, good for boys and girls, and the pictures will keep a little one flipping the pages for a long while. Deckers helped me write this review and he couldn't get enough of Wilfred. He loved this collection of stories and brought the book to me several times a day with pleading eyes. Please read to me, sweet words to a mother's ears.